Straight Outta Compton easily held on to the number one spot ($26.8 million) this weekend as newcomers Sinister 2 ($10.6 million), Hitman: Agent 47 ($8.2 million), and American Ultra ($5.5 million) all fell short of expectations. In fact, Mission: Impossible - Rogue Nation managed to stick around for a 2nd place finish, despite being in it's fourth weekend. In other news, just when you thought the Terminator franchise was coming to an end, Terminator Genisys opened in China to a huge $27.4 million. Which might be the sign that studio heads will greenlight another sequel, probably with a more altered story involving China in some way. In fact, it's opening in China might have even eclipsed the $27 million opening here, domestically. 5) The Man From U.N.C.L.E. 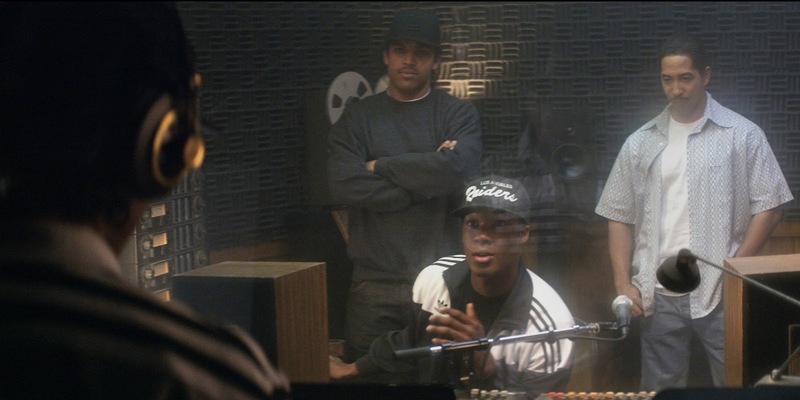 Straight Outta Compton vs The Man From U.N.C.L.E.